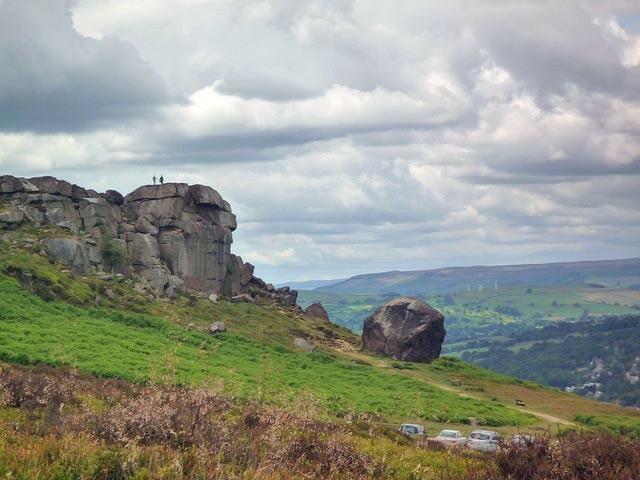 The Cow and Calf climb starts in Ilkley and goes up to Ilkley Moor. There is a great view of Wharfedale from the top. The 1.2 mile climb averages 8%, but there is a steep section of 17% near top. 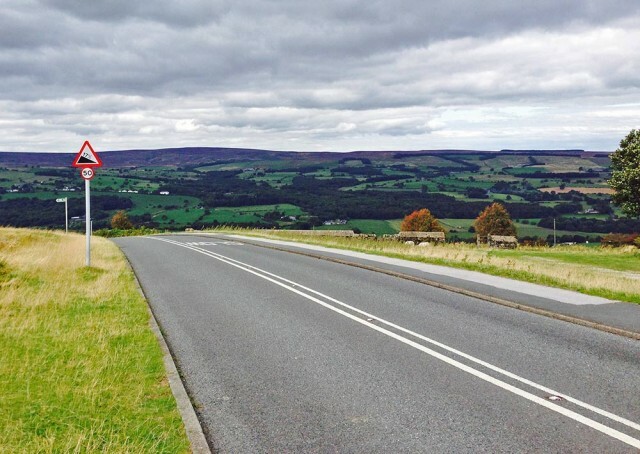 I’ve ridden it many times and it was on the Cow and Calf that I saw my first live professional bike race – the now defunct Leeds Classic. I was really impressed how quickly they cycled up the Cow and Calf. 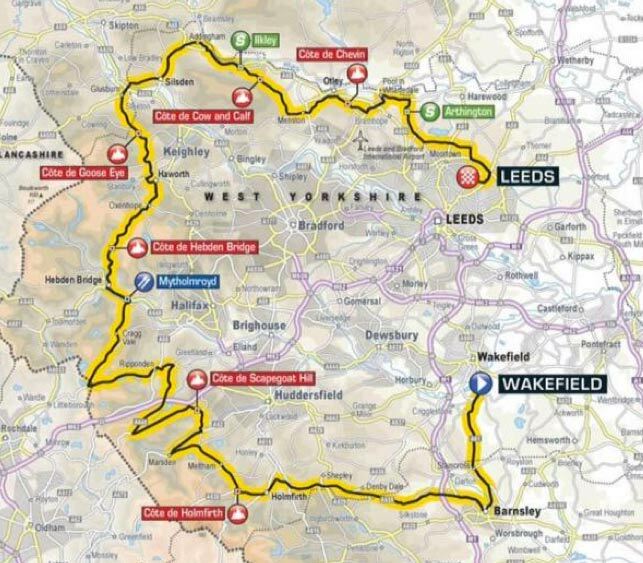 The 2015 Tour of Yorkshire is going to be going up the Cow and Calf on stage 3, it comes fairly close to the stage finish in Leeds. The route later goes up East Chevin, which used to be a venue for the Otley CC hill climb, until too much traffic caused it to be moved. 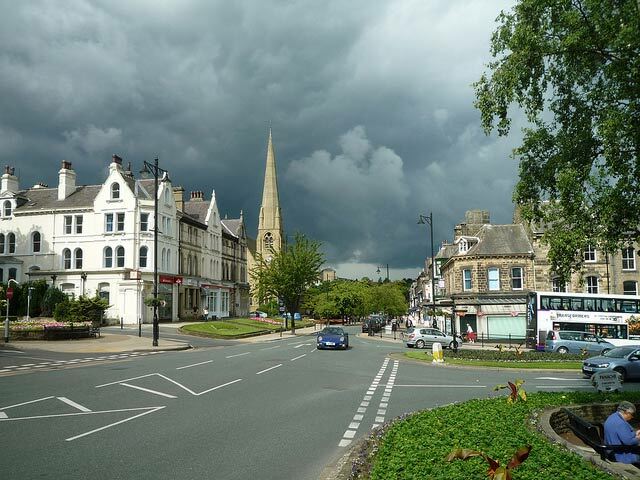 The route is also going through my home village of Menston, so it’s a pretty good stage to go and watch. Just over the steep bit. I’ve cycled so many times up the Cow and Calf, but I never stop to take photos on the steep bit! I recommend watching on the Cow and Calf, it’s a great spot to be waiting around for a couple of hours, and in the right spot, you can see quite a long way down the hill. There are also good train connections to Ilkley if you want to avoid car. I never thought Ilkley would become a popular spot for professional cycle races. Tour de France 2014. 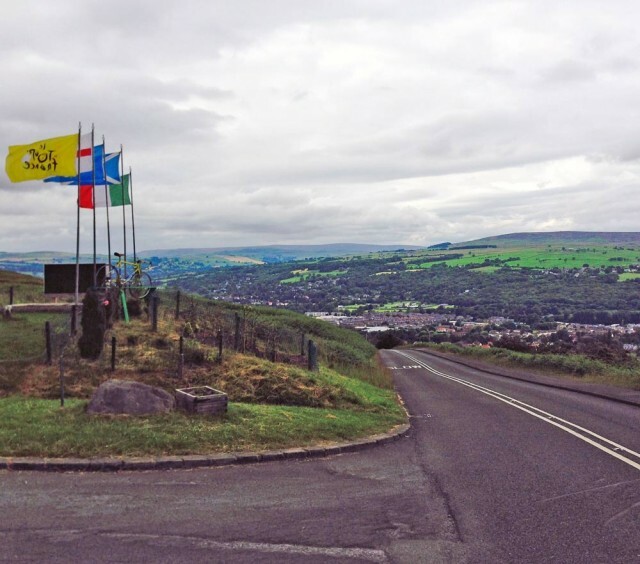 Tour of Yorkshire 2015. They will have to host the National hill climb next . 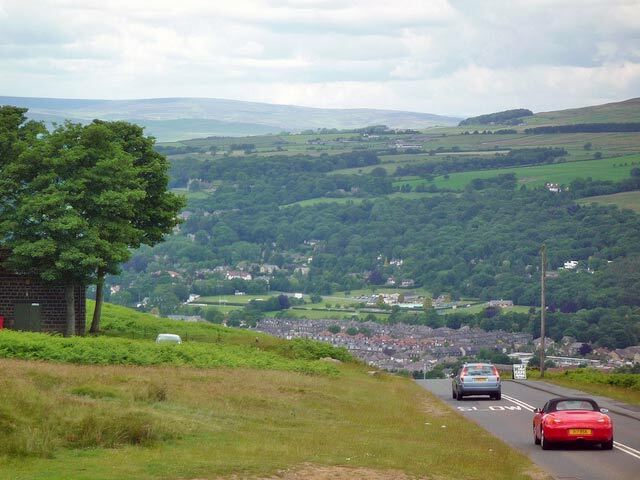 The climb is fairly steady on the way out of Ilkley, but after crossing a cattle grid, there is a really steep section of 17% plus. It is a climb that could have been in the 100 climbs of Britain, but unfortunately, it is getting quite busy with cars these days. I did some intervals on the Cow and Calf in preparation for 2014 Nat Hill climb.